The Provost and Vice President for Academic Affairs is the chief academic and strategy officer for the University. All academic and related units, (including the colleges and departments, the library, undergraduate studies, graduate studies, international initiatives, faculty development, academic program development and review, and academic diversity) report to the Provost. 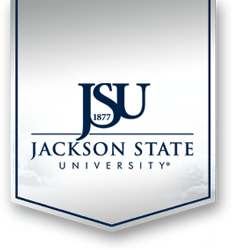 Additionally, the Provost administers the budgets of these units to further mission and goals of Jackson State University. The Provost provides oversight to special academic programs including the Honors College, University College, the Center for University Scholars, the Richard Wright Center for Writing, Rhetoric, and Research, and centralized advising for the First Year Experience. Other units under the supervision of Academic Affairs include the Center for Distance Learning and Instructional Technology, Extended Learning, and the initiatives for community college partnerships. The Division of Academic Affairs also conducts planning and assessment activities, provides reports to external boards and accreditation agencies, and ensures the continuance of regional accreditation for all of the University with the Commission on Colleges, Southern Association of Colleges and Schools, along with discipline-specific accreditation for academic programs. The Provost oversees academic and budgetary policy and priorities, ensures the quality of the academic and academic support programs, and maintains an environment for educational excellence through faculty involvement in teaching, research, and service, along with appropriate academic advisement. The Provost also has oversight responsibility for recruiting, hiring, retention, the performance of faculty and academic administrators, and for the promotion and tenure process.